As always, my reading was all over the place in 2017. I discovered some new to me authors and series that really sucked me in as well as some amazing audio books. There wasn't much in the way of romance reading this year, which I suppose is a reflection of my changing reading tastes. I haven't exactly fallen out of love with romances, I just haven't read any that have really blown me away in the last year. However, I have read and listened to some amazing stories which has kept me excited about exploring new things. 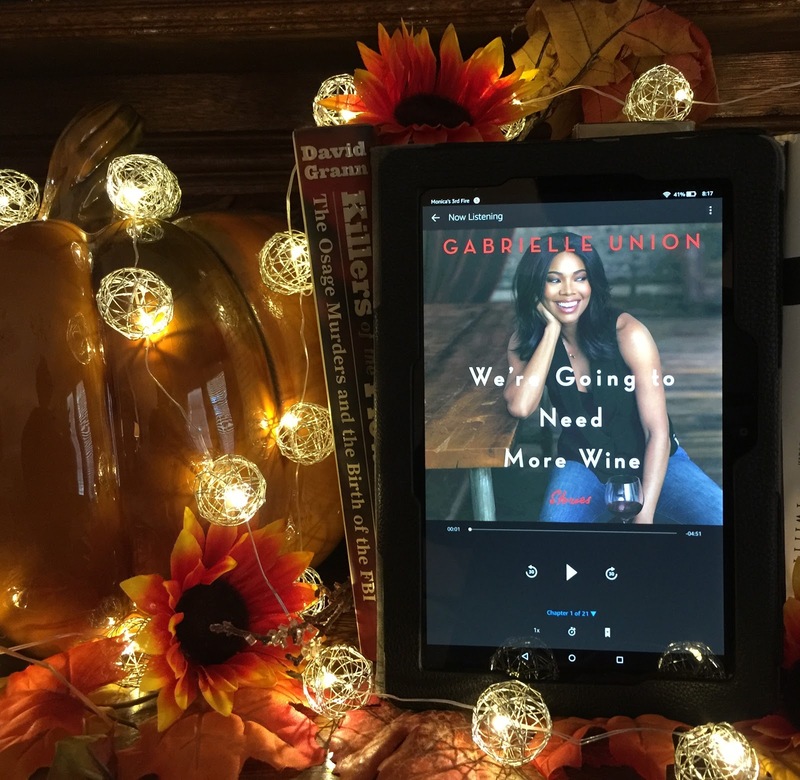 One of the changes that I made here on the blog was scaling back all of the individual reviews for each book that I read as I finished them. Instead I did individual reviews in monthly wrap ups. With all of the upheaval of moving to a new state and getting settled into a new house this worked out very well for me. I am pretty sure that I will continue doing monthly wrap ups from now on with a few exceptions here and there. I'm not as active on Facebook as I was before, but I am on Instagram almost daily. I love it there and if you still don't follow me, you should! ;) I'm at @readermonica. 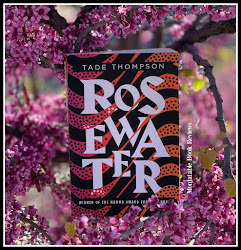 The bookstagram community over there is lots of fun and a little dangerous; people are reading and recommending all kinds of good things so beware! You can get yourself in trouble adding too many books to your want to read lists! 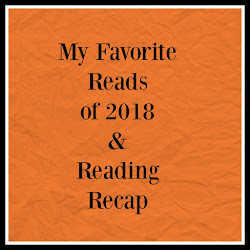 I also did a couple of buddy reads this year, which I loved doing! I read The Name of the Wind by Patrick Rothfuss and The Cooking Gene by Michael W. Twitty with some online book friends. I absolutely loved being able to discuss books with other readers who were scattered across the country and one even lives in France. So, if anyone is interested in doing a buddy read with me in 2018 just let me know, I would love to read and discuss more books this year! Before I get into my favorite reads of 2017, I'll share some of my stats from Goodreads. I'm good at logging all of my reading over there because it's a great place to just keep up with everything. I have to admit it didn't feel like I had read 95 books. Granted, some of my reads were novella length and didn't take long to read. My shortest book was Mapping the Interior by Stephen Graham Jones and the longest was Under the Dome by Stephen King. 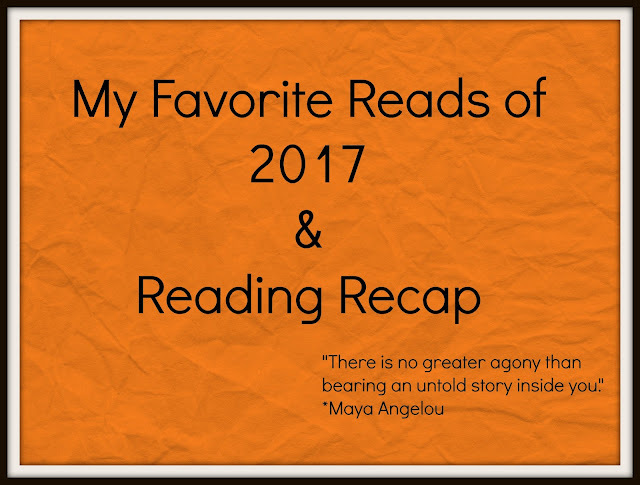 Now on to my favorite books of 2017! Get comfy,this is a little long. They are listed in order of when I read them, not preference. They are favorites for very different reasons and are all ones that I would recommend picking up. Let me know what your favorite reads were in 2017, y'all know that I love to add to my want to read lists! 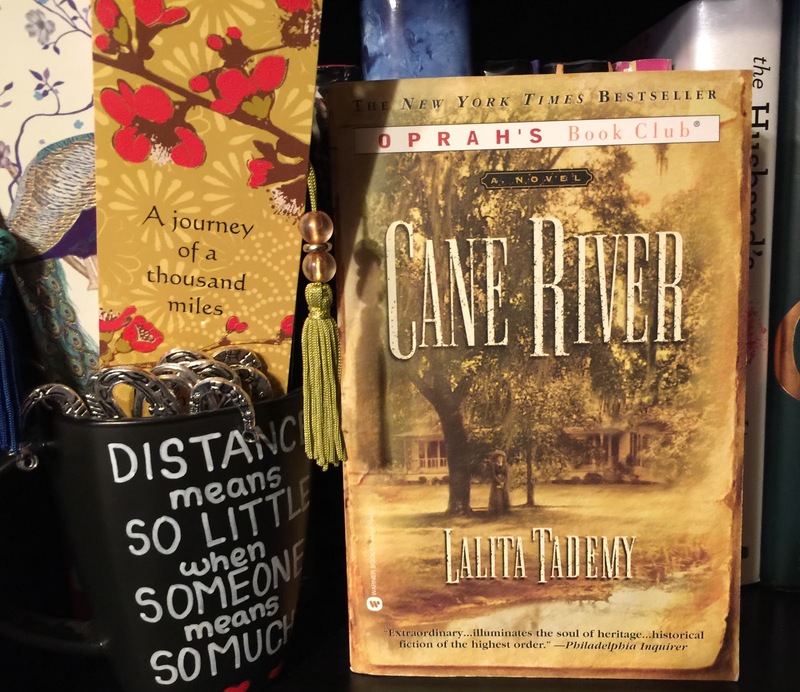 Cane River is an Oprah book club pick that I actually enjoyed. I've become a bit skeptical when I see the Oprah label. I love me some Oprah, but I don't always enjoy the books that she does. However, this one was a winner for me! I found a beautiful copy at a Goodwill store and figured that I had nothing to loose by grabbing it. It deals with heavy topics in a way that is relatable and compelling. It was my favorite of Tademy's three books. 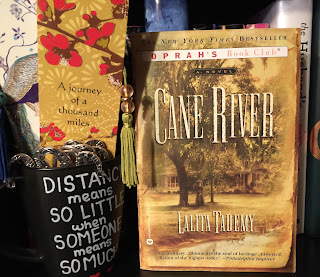 You can read my full review of Cane River here. Trevor Noah, y'all... If you haven't gotten in on this one, PLEASE do yourself a favor and buy or check out the audio version of Born a Crime. It is amazing, thought provoking, entertaining, funny, and deeply personal. 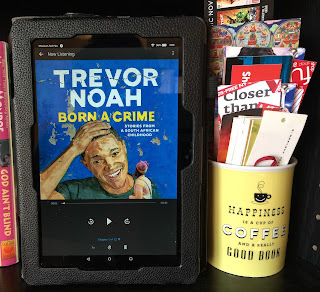 Trevor Noah lays into apartheid, discrimination, colorism, social inequality, and family dynamics through his own personal history and experiences in a manner that is not to be missed! Trevor's narration made this difficult to put down, not because there were no natural breaks, but because I didn't want to stop listening! His personality and adeptness with languages and accents puts this audio book into a category of it's own. Born a Crime is memoir excellence and should not be missed! You can read my full gushing review here. I have no idea why I didn't do a full review of Grace by Natashia Deon. It is gut wrenchingly emotional and beautifully written. It has the same feel of Beloved by Toni Morrison, so if you enjoyed that one, definitely give Grace a try. This is one of those books that I feel that I should reread in order to pick up on things that I may have missed the first go around. It's very reasonable as an ebook, so if you are into magical realism grab a copy of this one! 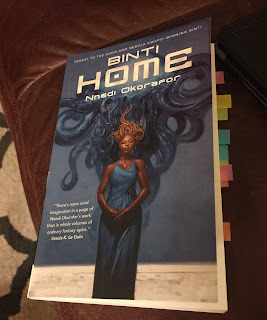 If you are even a little bit interested in Science Fiction, go grab the first two books in the Binti series! Nnedi Okorafor is genius at packing a lot of character, world building, and plot into these little novellas. They are amazing! The third book in the series releases on the 16th and I can't wait! 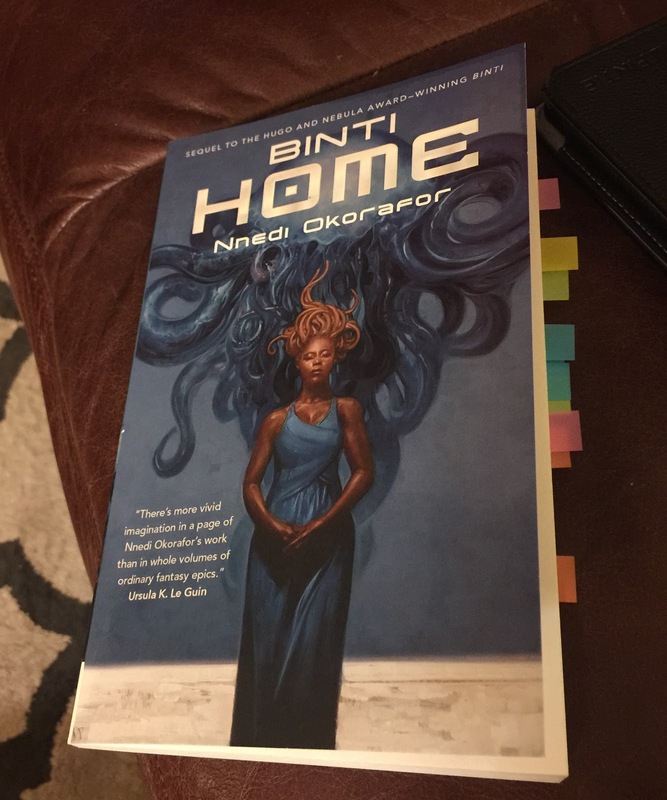 You can read my full review of Binti: Home here. I'm taking a little liberty here and adding the entire Starletta Duvall series to my list. This series is seriously entertaining and I am so glad that I was able to nab them. Starletta is a smart and realistic L.A. detective that is one of the best African American female protagonists that I have come across. I loved her! This also has an added element of interracial romance. 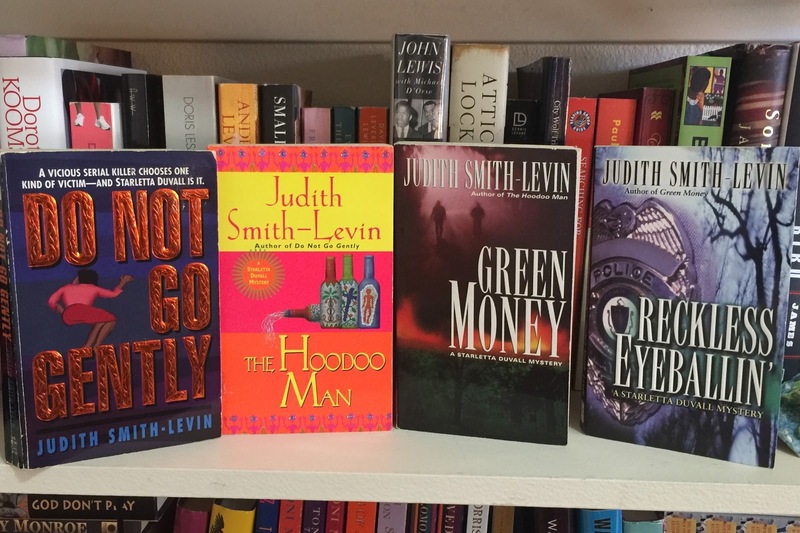 It's NOT a romance, but there is a budding relationship explored throughout the four books. It's a plus if you are looking for a little romance in your detective stories, but not a detraction if romance is not your thing. I can confidently say that I will be reading them again at some point. 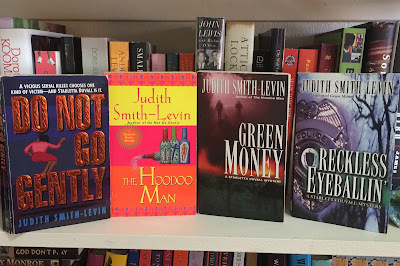 It is very sad that Judith Smith-Levin passed away so young and was not able to continue writing. This series sucked me in from book one and the ending of book four just made me yearn for more even knowing that there wouldn't be a continuation. Still, I have no regrets because of the goodness that I received in books one through four. I'm linking to my review of book one here. Kings of the Wyld was a very nice surprise for me and is an excellent fantasy read. It's a fantasy that reads like one big adventure with interesting characters that I actually cared about. I am very much looking forward to the next book in the series that is due to be released in July. You can read my review of it here. I read and loved the quirky, weird, and completely enthralling debut novel by Nicky Drayden. This book is unique and I have nothing to compare it to. All I can say is read this book and savor that cover! 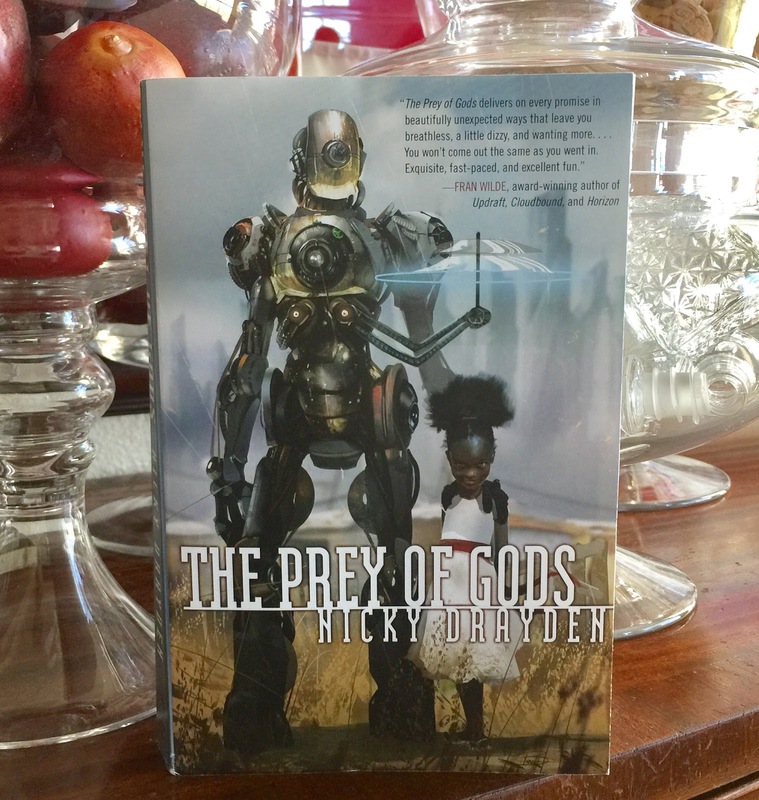 My review of Prey of Gods is here. 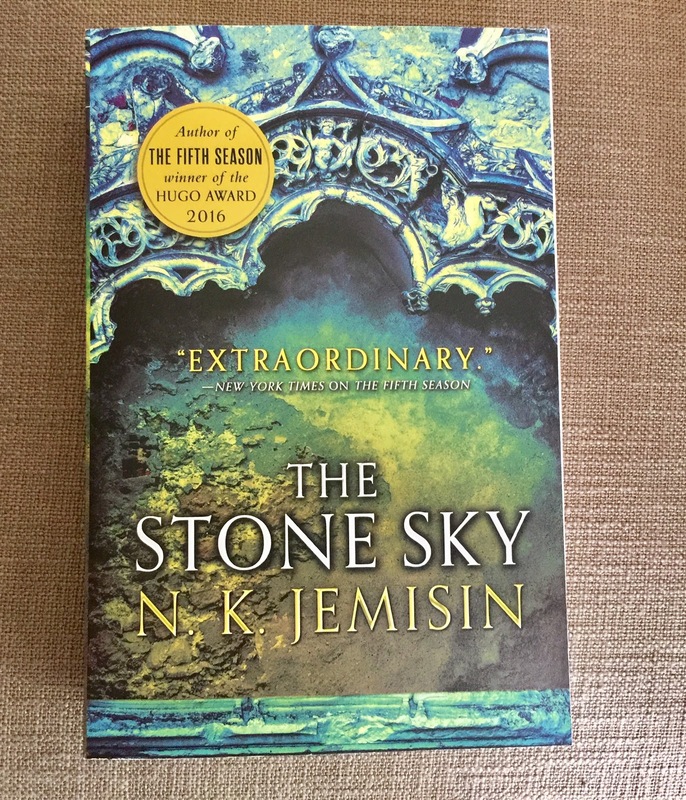 The Stone Sky by N.K. Jemisin being on my favorite reads of 2017 list will surprise no one. The Broken Earth series is one of my all time favorite series. 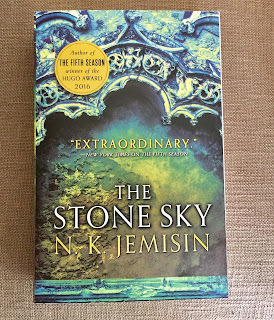 The Stone Sky is the best conclusion to a series that I have ever experienced. It is detailed, both character and plot driven, emotional, and gave me absolutely everything that I could have wanted. 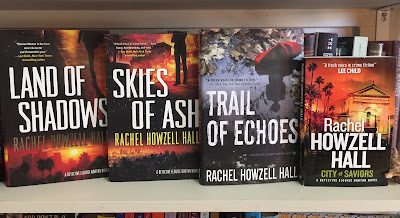 I love this series so much that it is almost too hard to coherently tell you why! My full review can be found here. All I really need to say is Ernest J. Gaines. I received an eARC of this one and seriously need to buy a physical copy for myself. Grab a copy of The Tragedy of Brady Sims and experience this gem for yourself! 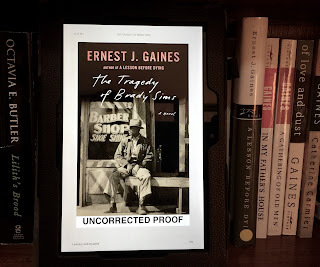 It's a short read that showcases Gaines' unique voice. My review is here. Bluebird, Bluebird by Attica Locke gave me all kinds of joy just by being set in my family's stomping grounds. Add on top of that complicated African American characters who don't fit into a stereotype or come off as cartoonish, a story that has room to grow and expand through a series of books, and the author's gift for detail that creates an atmosphere that you can almost see and hear; then it's a big winner with me. Bluebird, Bluebird is all that and I am looking forward to getting more from Texas Ranger Darren Mathews. You can read my review and a short video by Attica Locke here. Out of all of my favorites in 2017, We're Going to Need More Wine by Gabrielle Union was the one that surprised me the most. I knew very little about her personal life before listening to this, so I had little to no real expectations going in. Union blew me away with her honesty and rawness. 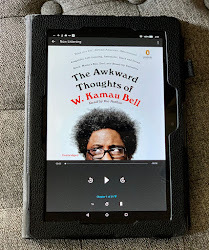 This is another book that I would highly recommend experiencing as an audio book. Hearing Union's stories in her own voice really made her essays come alive and feel relatable. My review is here. 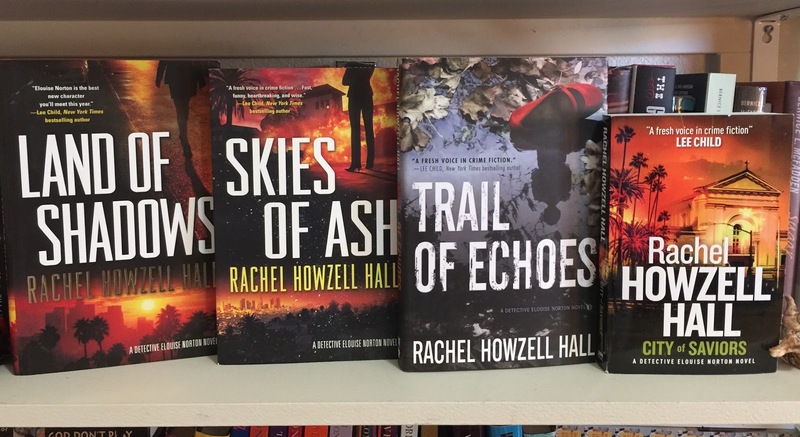 If you are looking for an ongoing detective series written by and featuring an African American woman that is well written and addictive; look no further than the Detective Elouise Norton series by Rachel Howzell Hall. Lou is a hardworking detective trying to stay ahead in her job while maintaining the respect that she has worked so hard for. Her personal life is a mess and her career is challenging, but Lou is managing to keep her head above water. I love that Hall has created a lead female character that I want to root for even when she makes a misstep. Lou is smart, loyal, and the kind of woman that you would want as a friend and a person that you would want watching your back! 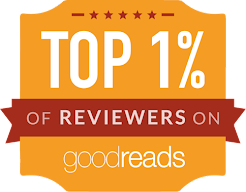 I'm linking the reviews to the first two books that were in a wrap up here. 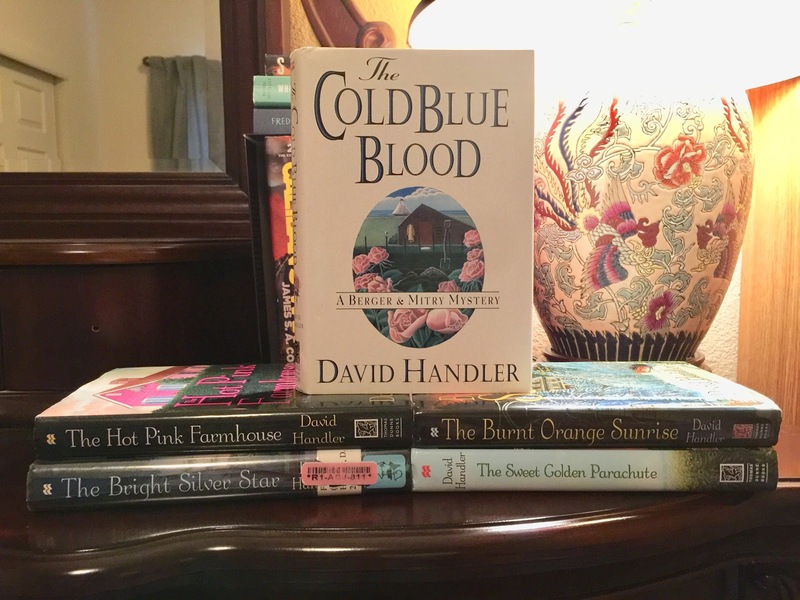 My last set of favorites of 2017 are the Berger & Mitry books by David Handler. They feature the unlikely pairing of a smart but tough African American female detective and a somewhat soft and squishy famous Jewish film critic whose paths cross in book one. Their lives and love affair grow and become complicated in the small quaint town of Dorset where the unexpected seems to find a home. Nothing in this town is as clean or as idyllic as it seems. These are straight up cozy mysteries and I love them. They all read very quickly, but I get so much enjoyment out of them. They are nowhere near being complicated or world changing. They are plain and simply entertaining reads! There are eleven books in the series, I own seven, and have read the first five. You can read my reviews of the first two books here. 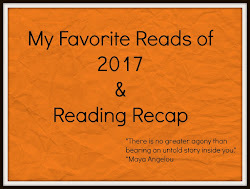 That's it fellow readers, my best of 2017! I wish you all a happy and healthy 2018 mixed with a lot of good books! 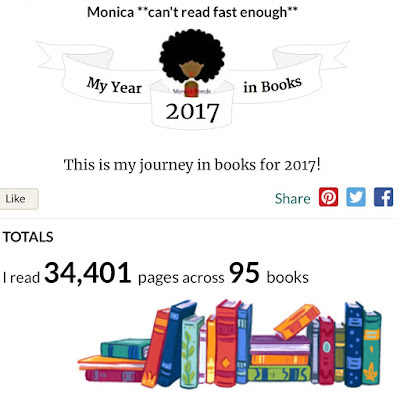 It looks like you had a good reading year! I’m usually scared of Oprah’s Book Club picks. Oprah and I seem to have very different reading tastes. I still need to read Trevor Noah’s book. He’s one of my favorite people ever. Happy New Year! I hope you get to Born a Crime soon, it amazing! Happy New Year! You had a good year Monica. Looking forward to seeing all your book goodness in 2018! Thanks Sharonda, I look forward to you sharing all of your goodies too! Happy New Year!